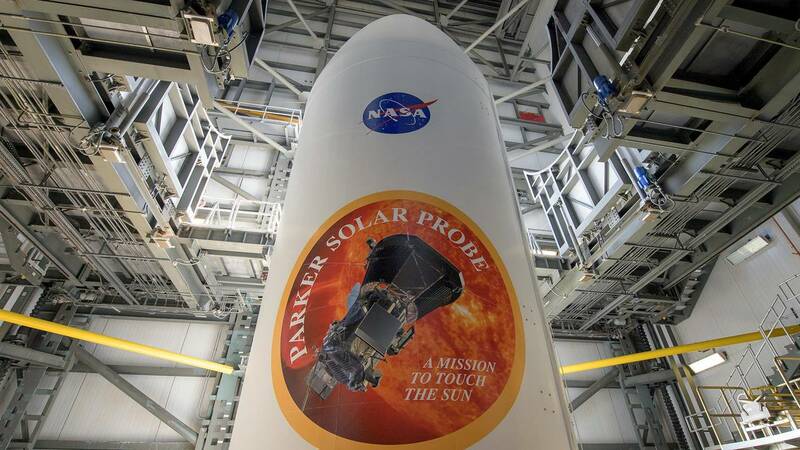 The United Launch Alliance Delta IV Heavy rocket payload fairing is seen with the NASA and Parker Solar Probe emblems, August 8, 2018 at Launch Complex 37, Cape Canaveral Air Force Station, Florida. (CNN) - Humanity's first visit to a star began this weekend. NASA's Parker Solar Probe will explore the sun's atmosphere in a mission that launched early Sunday. This is the agency's first mission to the sun and its outermost atmosphere, the corona.